http://www.cohvco.org The Colorado Off Highway Vehicle Coalition is the entity that litigates trail issues and closures, as well as lobby's at the state capital for OHV enthusiasts. In short, this is the group that has lawyers that help to keep trails open in Colorado on public lands. http://www.staythetrail.org The mission of Stay The Trail Colorado is to encourage the responsible use of the roads and trails that are open to motorized recreation in Colorado. Stay The Trail Colorado is a program of the Responsible Recreation Foundation. Rising Sun is based in the Denver area, with members in Boulder, Longmont, Fort Collins, Highlands Ranch, Lakewood, Golden, Aurora, Littleton, Evergreen, Black Hawk, Durango, and many others. 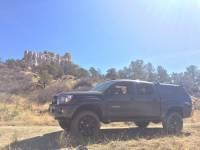 All Toyota 4x4 owners are welcome, whether you have a vintage FJ40, a beat-up 4Runner, a right-hand-drive 70 series from Australia, or a brand new Tacoma that you just drove off the lot. Monthly meetings are held the first Wednesday of each month from 7:30-9 pm at: Stevinson Toyota West, 780 Indiana St. Lakewood, CO 80401 Held in the 2nd floor conference room. Get there early to kick tires in the parking lot, and stick around afterwards for a cold one! Our forum is the place to connect: Visit our forums and Trip Reports to see what's going on and enjoy the camaraderie that Rising Sun offers. The forum is very active and registration is free, so please come join us to talk about JDM metric bolts and other interesting stuff. http://www.mhjc.org The purpose of the Mile Hi Jeep Club of Colorado is to unite adventure loving people in worthwhile 4-wheel drive activities; to educate its members in the proper manner of all road driving; to protect and preserve the natural beauty and terrain; to participate, on a voluntary basis, in search and rescue and other humanitarian missions as the community needs; to share good fellowship while operating our vehicles in a manner so as to preserve and protect our land for all generations; and to extend the courtesy of the open road to all. http://www.treadlightly.org Tread Lightly! is a nonprofit organization with a mission to promote responsible outdoor recreation through ethics education and stewardship programs. This is a nation wide program. 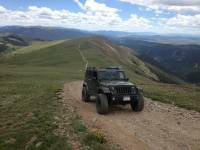 http://www.hightrails.org The Colorado Association of 4WD Clubs is a not-for-profit (contributions are not tax deductible) umbrella organization for four wheel drive clubs in the state of Colorado. We began in 1968. 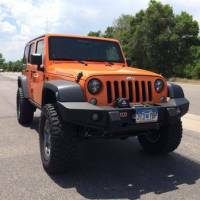 We are members of the Colorado Off-Highway Vehicle Coalition, and United Four Wheel Drive Associations. http://www.nohvcc.org NOHVCC, as a national body of OHV recreation enthusiasts, develops and provides a wide spectrum of programs, materials and information, or “tools”, to individuals, clubs, associations and agencies in order to further a positive future for responsible OHV recreation. After working several years as a mechanical engineer, Al decided to take his hobby to the next level and not only build some amazing 4x4 vehicles but make a business out of it as well and work for himself. In 1978 he started with small builds on friend's early Broncos just in his garage but that all changed when he decided to turn it into a full retail shop in 1980 and then Al moved the shop to its current location here in Englewood in 1985. He has been the sole owner of HCP4x4 since the beginning and he prides on having a clean shop and a teamwork environment! 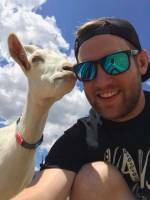 Brady grew up in the Denver area and has always been an avid car enthusiast. The knowledge and experience he has gained from working in this industry for the last 15 years, is invaluable to us here at High Country. Brady has an easy going and hard working attitude, and this is why we wanted him to be a service writer. He makes sure from check in, until the job is finished, to keep in communication so you are never left in the dark. This helps High Country strive to have the best customer service! Brady is not a just a gear head and lacrosse player, he is married and a dad of 2 wonderful boys. To go along with his great customer service, Brady also has a BA degree from CU. Kenny came to us with extensive knowledge in the automotive industry. He has over 20 years of experience in the retail management, wholesale distributing, and the manufacturing side of the automotive industry. Kenny brings a fun loving, motivated, and inspired attitude to work each day. It is Kenny's main priority here at High Country to build a great team atmosphere, which will result in a great experience for our customers and employees. Hobbies: Anytime he is not working he tries to be out on his bike doing some extreme downhill. He tries to spend as little time in the city as possible. Downhill Mountain Biking, Hiking, and off roading. CJ is a huge addition to the team here at High Country! CJ brings the best attitude every day and is dedicated to having the friendliest and most educated customer service in the industry. With almost 11 years in the automotive industry CJ is up on all the current trends in the 4 wheel drive industry, and loves to see happy customer's completed builds roll out the door. 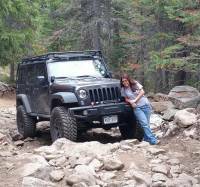 CJ is an avid 4 wheeler and loves to wheel on a wide range of difficulty of trails. He loves to be outdoors and extreme downhill mountain biking is his other passion! When he is not racing down the mountain or trying to crawl up it, you can catch CJ playing ice hockey or camping with friends. There is pretty much no adventure he wouldn't take and this is why we enjoy CJ so much. Please feel free to ask for CJ when you call in! Josh is new to the team, he has been in the automotive industry for a little over 14 years. 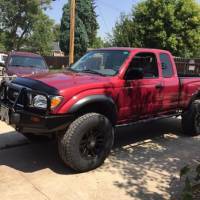 Josh is an avid 4wheeler who has extensive knowledge of off-road parts and accessories as he has experience with installing parts not just selling them so you can count on honest opinions when inquiring. Josh started his 4x4 journey with a 2002 Chevy S10 that was lifted and modifying vehicles quickly became a passion for him. 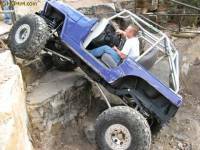 He then moved to a 91' Jeep YJ and that became his toy to wheel for a few years. Today, Josh has moved up into a 97' TJ Buggy that he likes to take on hard trails in Moab and Colorado. His Daily driver is a 2009 Jeep JKU on 40's! Josh is definitely a winter sports guy, he grew up as a hockey player and is still playing today on his off-time, and if you don't catch him at the rink he will probably be up on the slopes riding! 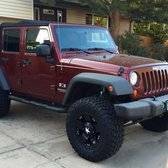 Brigham has worked for HCP4x4 for many years and is experienced not only on the mechanical side but he is good with sales as he has extensive knowledge in Jeep and GM products. 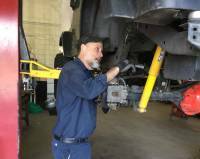 Brigham is very detail orientated and his work comes out very clean and precise as he treats every vehicle as if it was his own. Brigham enjoys wheeling his beast of a truck it's a 1974 Full Size Blazer that sits on 40" tires in Moab, UT and trails across Colorado. EB's life is 4WD at full throttle! EB has worked at HCP4x4 for 17 years now, and has been the shop foreman for the majority of his career. EB has earned his place here at High Country as he is our most experienced technician who can fabricate anything you could possibly dream of! Not only is EB extremely experienced as a technician but he is probably the nicest guy you have ever met! Why EB is so good at what he does? It's the fact that he portrays to the rest of us here at High Country...it's not only important on how the install looks but how easy is it to work on for the next technician. EB is a man that enjoys life behind the wheel of a jeep. 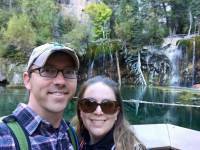 You can find him and his wife out on the trail almost every weekend, whether it be in Colorado, New Mexico, South Dakota, Utah or California. Current 4WD: 1987 Jeep YJ buggy "Ronnie" and a 1972 CJ5 custom built "Sleeper Jeep"
Scott has been involved in 4-wheeling since...before dirt(so he puts it)!!!! Scott is a natural born mechanic as he enjoys fixing anything mechanical and has been addicted to 4x4 vehicles from a very young age. 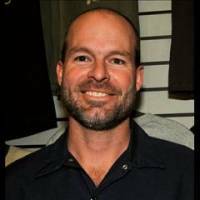 Scott is also one our technicians that we have had here for a long time as he is very important to our crew because of his extensive knowledge and hard work. Currently we have Scott working on a custom Jeep build that started with a frame! And now he has turned it into the meanest rock crawling machine (frame extension, V8 swap, transmission swap, customer axles gearing, custom king suspension). Hobby: Anything with a motor and wheels! Ryan has been with us for a couple years now and has a great working knowledge of the off road industry and even more knowledge of the powersports industry. Ryan came to us from a large powersports shop and is the go to for any side by side work we do. Ryan is always looking for a challenge and loves to take on new projects. Ryan is such an enthusiast, you will probably catch him upgrading and working on his on 4WD vehicles on his days off. Ryan is a great team player and always has a smile and a joke to tell! To give a little background he grew up in Littleton, CO and loves living in this beautiful state of ours. He grew up racing motorcycles, and loves just about anything with a motor. Travis is new to the crew here at High Country. He is ASE Certified and worked for Ferrari for a little over 10 years. He is certified wtih Ferrari and Maserati, and he also spent 3 years with Tesla motors SR Mobile Service as a Technician. Travis is very motivated and is meticulous about keeping his bay clean. If you don't catch Travis in the shop you can count on him spending time outside and enjoying nature. We are so happy to have added Travis to the team! Rob is our Purchasing Manager and has 10+ years in the Automotive Accessories Industry. He has worked in all areas of distribution and has logged over 1/2 million commercial driving miles delivering parts. Rob is an integral member of the team here at HCP4X4. He is in charge of ordering all the parts for your particular build, and making sure they are here in time for your scheduled date. Rob is also tasked with making sure we have the newest parts here in our showroom! We pride ourselves on having the best quality products in stock for our customers. We know there are a lot of options to choose from , and we only sell products we believe in. Rob really LOVES Chicken Tacos!!!!!!!!!!! Favorite Trail: "The one that takes me to the fishing hole"
Rob is an awesome addition to the High Country team as he came to us with 7 years of experience from Wheel Pros the largest Custom Wheel distributor in the world!! Rob also has over 5 years of experience with Discount Tire and this all comes in handy when we are doing custom painted wheels and beadlocks! We are also happy to have a 8 year vet working for us and it shows as Rob "DOES WORK!!" from the minute he clocks in the to the second he clocks out! Rob takes work serious and knows what it takes to get the job done right. We are so happy to have him part of the team.